Voice technology is currently one of the fastest-growing industries—making it an extremely exciting field to be a part of. 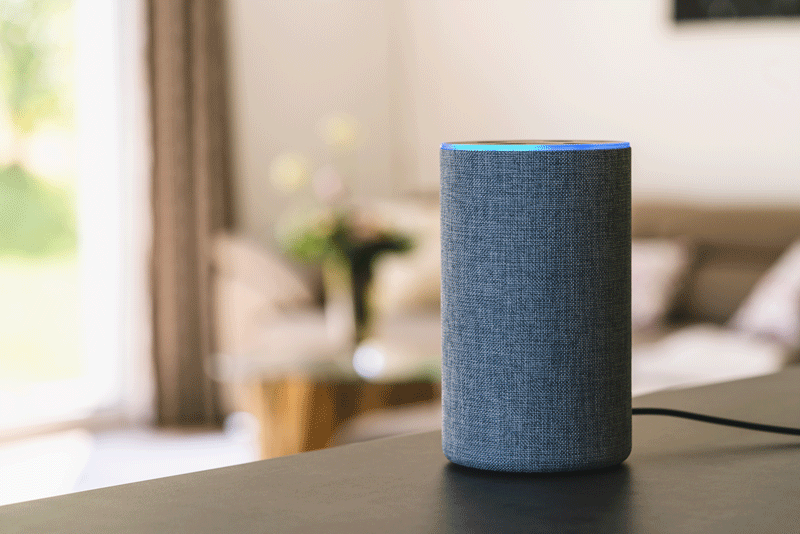 In 2018, 24% of all U.S. households owned a smart speaker, and it’s predicted that the voice recognition market will be a $601 million dollar industry in 2019. Not only are people buying into voice technology; they’re using it, too! According to Google, 72% of those who own voice-activated speakers claim to use their device as part of their daily routines. What does a voice user interface designer actually do? Why are VUI designers in high demand? What does it take to become a voice user interface designer? What kinds of companies are hiring VUI designers? How much could you earn as a voice designer? Getting started in VUI design: What next? 1. What does a voice user interface designer actually do? The role of the voice designer is one that’s still being defined in our current market, much like that of a user experience designer. It goes by many different names, from voice user interface (VUI) designer and conversational user interface (CUI) designer to voice user experience designer, voice interaction designer, interaction designer, and so on. Some voice roles are simply folded into the user experience designer role. Just like a UX designer focuses on creating a smooth interaction between, say, the user and their smartphone, a VUI designer considers the interaction between the user and a voice application. This interaction might be via a smart assistant built into the user’s smartphone, or a voice-activated speaker placed in the living room. Voice design is similar to other design fields in that it focuses on creating a seamless user experience. In general, voice designers are tackling questions very similar to those faced by user experience designers, including who the persona for a product or service is, what problem is being solved, and how to implement designs that solve a clear user pain point. 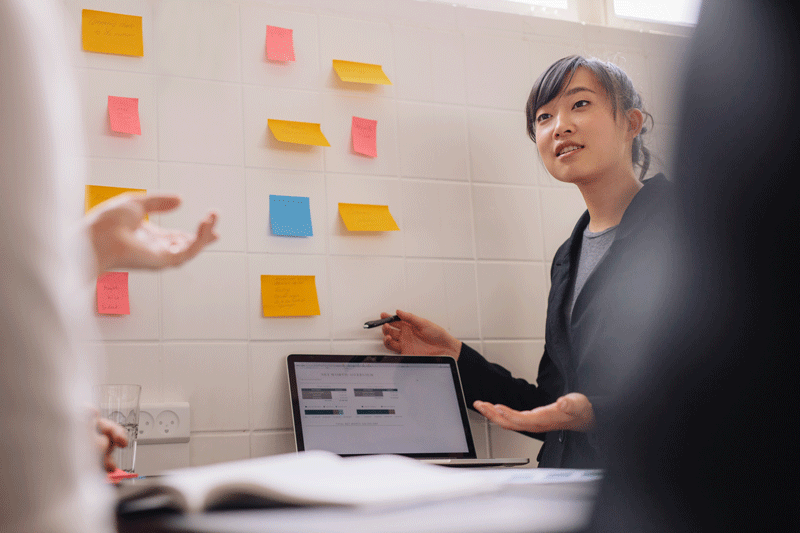 To answer these questions, they’ll fall back on processes you’ll recognize immediately from UX design: user research, persona creation, prototyping, user flow creation, usability testing, and iterative design. However, voice interfaces are very different to graphical user interfaces. Voice designers must consider the complexities of working with voice, which offers new challenges in constructing user interfaces, navigation, and informational hierarchies. It also requires an understanding of how people respond emotionally to voice and to the characteristics of different voices, which involves fields such as psychology, sociology, data science, and linguistics. Voice designers working on a small team may go beyond creating sample dialogs and user flows to creating the complete script for a voice application, or rather, the complete set of things that can be said to a system and that a system can say back. User experience designers are often supported in building visual interfaces by user interface designers and developers, among others. Similarly, a voice designer is often supported by a large team of specialists. They might work with several types of developers who code the logic of the voice system. They may also work with specialists such as writers devoted to creating the phrases that the system can return to a user. Teams within companies designing their own voice recognition software may also include highly-specialized speech scientists who can apply statistical modeling to the sound waveforms being input into a system to make the voice recognition itself work. In a proprietary voice interface, the team may also include a voice actor, or actors, who record sound clips for the system. 2. Why are VUI designers in high demand? As user adoption of voice devices increases, the demand for skilled VUI designers only grows. If voice technology is the future, then so are voice designers! In order to gauge the demand for voice designers in today’s market, we asked some industry experts for their thoughts on the matter. Responses varied depending on location; however, the overall message was clear: growing popularity of voice devices equals growing demand for voice designers. “Voice first” is taking off! The adoption rates of smart speakers since Alexa’s launch in 2014 have accelerated faster than those of the iPhone in 2007. Finally, we have the hardware and software that allow for delightful, verbal human-computer interactions. It’s amazing to look at the progression of how humans have been able to interact with computers since they were invented. First we had binary coding, which paved the path for coding languages. Then graphic user interfaces were created and computers were made accessible to the general population via a mouse and keyboard. Touchscreens rapidly made the interaction even more intuitive with taps and swipes. Even though the progression became more user-friendly, achieving proficiency at any of these modes of communication still requires some investment of time and effort on the part of the user. But spoken conversation — that’s something humans have been doing for thousands of years! Language is programmed into our DNA. Anyone who can converse competently in their native language — even someone who can’t read — can partake in a voice-first interaction. This is a big deal especially for aging populations, kids, and as a way to augment accessibility for other channels, including mixed and virtual reality experiences. 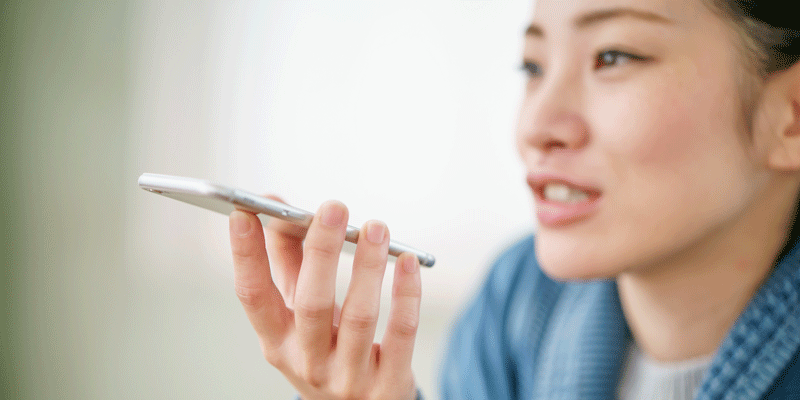 Voice user experience designers are in high demand for two reasons. 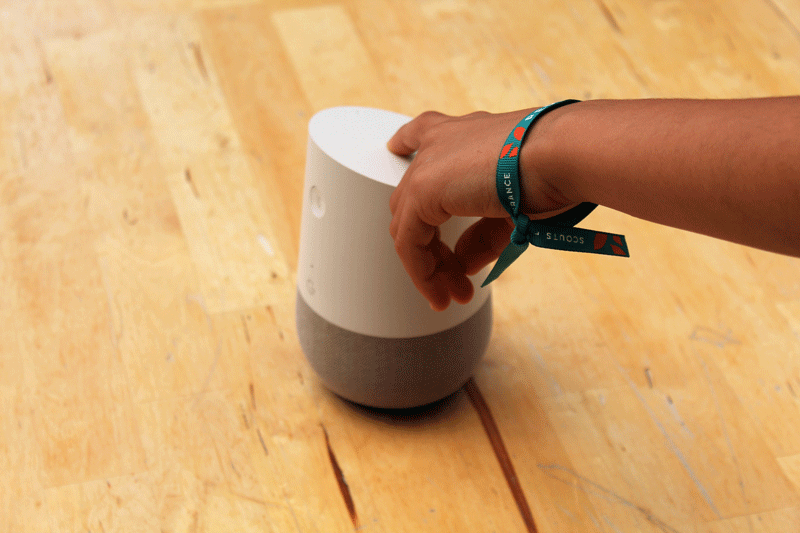 First, the rapid adoption of smart speakers in particular and voice assistants more broadly has created a rush to establish a voice presence among many brands and media companies. Second, conversational design, specifically voice-first design, is very different from what we’ve done previously. It is an entirely new set of principles for user experience designers to learn and, as a result, anyone with experience in this space is highly valued. VUI designers are in demand for a number of reasons. Smart speakers are selling faster than smartphones ever did. It took smartphones 3 years to reach 50 million users. It’s taken smart speakers 2.5 years. The forecasted growth in voice assistant adoption has led brands to seriously consider their future and how voice can play a role in that. At the same time, designing for voice is completely different to designing for a screen. Your screen doesn’t need a personality. Your screen has a confined, pre-determined menu and design best practice is well established. The contrast between voice and screen based design is stark, and VUI designers are in short supply. Whether there’s a large demand or simply a drastic shortage of supply is uncertain. Just look at the numbers. 252 MILLION U.S. adults use voice today! 90 million on their smartphones and 45 million on smart speakers. And the growth rate of the adoption is phenomenal. If it took around 10 years for mobile to conquer the world, it will take much less time for voice to do so. And the demand for good VUI designers in the industry is exploding. More and more companies are realizing that voice is a viable interface, and that people want to interact in a variety of ways. Smart speakers have proven that for some tasks, voice is an efficient, enjoyable way for people to get things done. However, there are also a lot of bad voice experiences out there. When websites were first around, and anyone could build them, we saw a lot of flashing “under construction” GIFs and poorly organized content. Voice is in a similar stage: a lot of people plunge into creating them without understanding design principles, and then users get frustrated and adoption suffers. Therefore there is a lot of demand for people who understand how to design GOOD voice experiences. 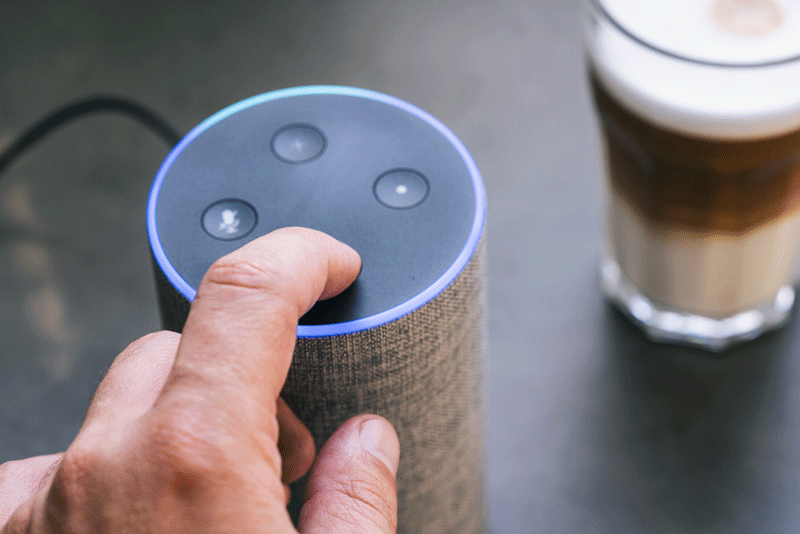 Since voice-first devices are gaining more and more popularity (Amazon Echo devices have been the top seller on Black Friday for the past 3 years), there is also a trend in the rising demand for voice user interface designers. Since there is no best practice and “must-have track” when learning VUI design, it will be a great opportunity for anyone who wants to learn more about voice and be one of the first pioneers in this space. In VUI Design we don’t yet have an established material system on how to build digital experiences. This makes voice design a great field to innovate and experiment! I think voice is the most natural human interface, and now we’ve almost got a technology that allows us to talk to a machine. I guess we’ll have more and more voice-powered tech in the mid-term future (5-10 years). Therefore, there’ll be a massive need for people who can design how to interact with technology by using your voice. 3. What does it take to become a voice user interface designer? We know that voice designers are in high demand, but what does it take to start a career in this burgeoning field? Much like UX design, there’s no one set path to becoming a voice designer. While it’s important to master the necessary practical skills, there are no hard-and-fast rules when it comes to forging a career in voice design. To help give you an idea of whether a career in voice design is right for you, we once again sought the advice of some industry experts. For someone looking to get into the field, I recommend reading up on the subject (such as Google’s design best practices, and my book, Designing Voice User Interfaces), listening to podcasts, following people on Twitter who are doing interesting work in the field, and watching talks. I also recommend designing your own! You don’t have to be a coder; you can start by writing sample dialogs, which are basically a potential back-and-forth between the user and the system. Write them down, read them out loud, make changes, and repeat! To get started as a VUI Designer, you should ideally bring in first experience in UX design and basic knowledge of coding (e.g. NodeJS, Python, Java). Since there are already a lot of good (and free) tools and frameworks to assist you while developing voice-first experiences, the crucial part in voice design is in the conceptual and design phase. If you are new to voice and want to take a closer look into this new technology, you should ideally bring in: understanding of basic human communication (it can be handy if you came from marketing or sales), higher level technical knowledge, the ability to test concept flows and the enthusiasm to learn new things. Become a linguist, or better: a computer linguist. What steps do you need to take for this? Depends on where you are coming from. If you learned UX, forget all you learned, reset to factory settings and become a linguist. If you are a coder, learn to speak with your fellows. What is really needed when becoming a voice user interface designer is the broad understanding of how people use voice while interacting with technology. It’s important to start with a mindset of designing a conversation, not a visible interface. The biggest success factor in voice designer work is the ability to empathize with the users. To feel their pains, then get to know their real needs and discover the value voice can bring to their lives. Later on, it’s important to turn those findings into a digital journey that is intuitive and feels natural. And test it! Having a lean approach to designing voice interfaces is key. Apart from understanding the major differences between designing graphic and vocal interfaces, it’s also important to understand the limitations of voice technologies nowadays. Voice platforms are growing quickly, but we as designers have to navigate many constraints. Staying up-to-date with the news is really important. The best way to kick off a career as a VUI Designer is practicing skills on real-life examples. Pick an idea, design a simple conversation flow on a piece of paper, test it with your friend. And tell the world how you did! Also, what is very helpful is becoming part of a community of voice designers. The best way to start is getting engaged in the meetups run by Alexa Devs, Google Assistant Experts or independent agencies and designers around. Those are the places where, by getting to know real use-cases, designers can learn and enhance their toolkit. First of all, you need to be interested in the brand new voice world. If you enjoy working with words rather than with pictures or numbers, you are on the right track. You need to be creative and enjoy realizing your own ideas. You don’t need to have any developer skills if you work on bigger projects or have a development co-worker. In terms of hard skills, copywriting is always a good skill to have, as are creative thinking, problem solving skills, the ability to translate complex information into simple concepts, understanding of user psychology and how people think and act. Understanding of the technology and how it works / what’s possible. Useful soft skills include empathy, persistence, good teamwork, and good communication. Kane Simms, VUX World, U.K.
To become a voice user interface designer requires you to reimagine and often break the visual patterns that we are used to. Instead of trying to reimplement those patterns in voice, one needs to go back to the actual problem they’re trying to solve. It’s what separates a good visual interface from the bad. The users will instantly feel comfortable when you try to solve their problem conversationally, instead of guiding them through the endless flow of voice wizards. I see the VUI designer first and foremost as a designer of conversations (between humans and machines), specifically specialized in voice interfaces. I’m personally not exactly a conversational designer, but indeed I’m a software engineer (in relation to my professional experiences), nevertheless I’m a conversational AI advocate in general. In the market now, I see many different points of view/concepts regarding what a “Conversational (chatbot/VUI) Designer” is; on one hand, there are web front-end UI/UX designers and copywriters, that often conceive conversational (voice) design as a declination of a possible marketing/branding communication. One the other hand, there are software developers, approaching VUI with a strict engineering approach, by example considering conversation design just as workflow and task-completion processes. The “true” is in the middle. Both developers and copy authors own necessary competences. But these are not enough; the perfect conversational designer is, for me, just a “writer”, a script-player. 4. What kinds of companies are hiring voice user interface designers? If you’re thinking about pursuing a career in voice design, it’s important to consider the kinds of opportunities that might be open to you. While an initial job search might not show up too many job offers right now (especially in Europe), VUI design skills are very important for the future and there are many companies with a great demand for such expertise. All kinds of companies from the old Interactive Voice Response (IVR) world and emerging new economy of VUI are already looking for designers with skills in this area. Big brands like Amazon, IBM, Google, Microsoft, Samsung, Intel, and Nuance have many positions for VUI in different countries and languages. Car manufacturers like BMW, Daimler, Ford, Audi, VW and SEAT all implement voice control in their cars. Audio manufacturers such as BOSE, JBL, Sonos and many others have already launched products with VUI implementation. There are many startups and voice platform creators; Adobe acquired one of them recently and has introduced voice prototyping features in their popular XD tool. There are some specialised voice agencies on the market, and many companies are interested in freelance UX designers with this specialty or as an additional skill. Agencies doing work on behalf of clients tend to be hiring voice designers. Although this is an area that more agencies are venturing into, not many have the demand to make it a full time thing. Lots of agencies are experimenting with voice on the side in the hope of growing it. Brands building in-house teams also provide an area of opportunity for designers with VUI skills. Virgin in the UK are considering putting together an in-house team after working with an agency on their skill. The BBC have an in-house team consisting of 12 designers. Software development companies and product companies that build voice tooling also need VUI designers. There’s obviously the likes of Amazon and Google that employ VUI designers to work on their assistants, but there’s also companies like Salesforce who are adding voice capability to their systems. Expect to see more of this. Big companies who have an inhouse department for their own voice projects, or agencies who work for other companies to realize their voice projects. The demand for VUI designers will grow in the next years. Because of the rising adoption, the profiles of the companies who need voice right now are very varied. Of course, the fortune 100 companies are at the forefront. They all learned the lessons of missing the mobile trend—they’re not making this mistake again. In Italy, some medium-large agencies, working mainly in customer care automation realms, are starting to look for VUI designers. Amazon and Google. No kidding, they have more voice designers than everyone else combined. Media, retail, automotive—those are exciting industries. Companies of all types are looking to hire conversation designers. Health care, retail, automotive, media—there will be conversational experiences in all of these domains. 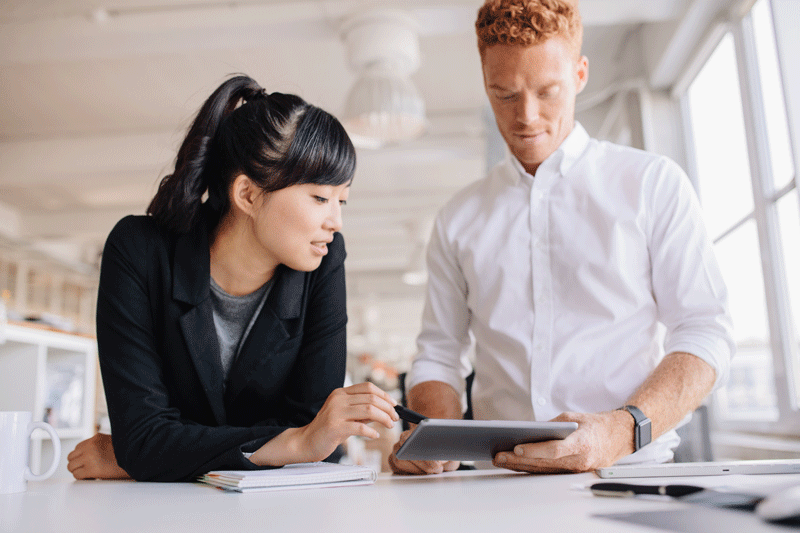 The terminology varies (some companies are building ‘chatbots’ for example, which typically refer to text-based conversations) but many of the skills are the same. Regarding companies that are hiring VUI designers: The corporate companies would include Google, Amazon, Samsung, and Apple, in addition to AI companies like IPSoft ( https://www.ipsoft.com/amelia/) and security companies like Pindrop ( https://www.pindrop.com/) . Of course, banks like Chase and Bank of America have chatbots that will soon be turned into voice-based experiences as well. Then there are other smaller companies like Witlingo, Volley, Opearlo, and Bespoken that need VUI designers to either create experiences or help with UX research. One company, called ChefSteps, was also recently hiring a VUI designer to help with their voice-driven kitchen appliances. 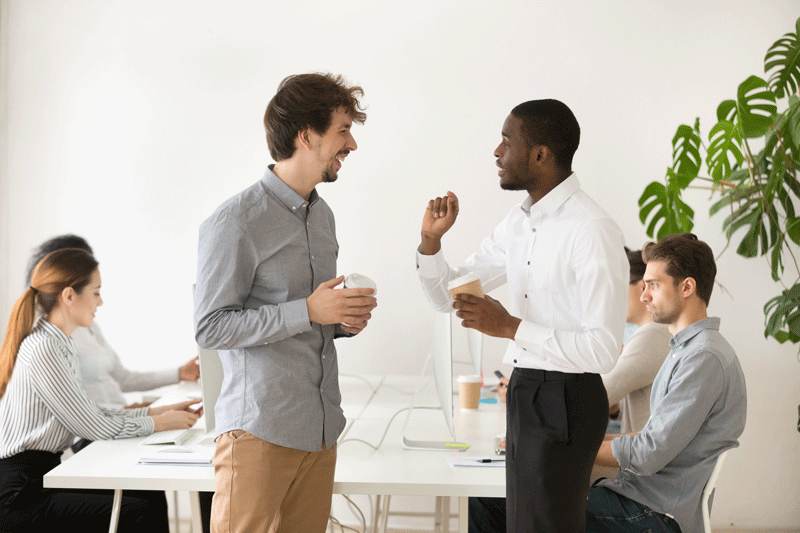 Networking within the VUI industry: How do you connect with peers and mentors in your field? “LinkedIn and Twitter. These are the two best-kept secrets out there, especially in design and tech. If you are looking for a job, looking for advice, wondering what it’s like to work at X company, looking for a new hire — you name it — develop your presence on both of these platforms. 5. How much could you earn as a VUI designer? Finally we come to that all-important question of salary: As a VUI designer, what’s your earning potential? The current data regarding salaries can be found on Glassdoor.com. At the time of writing, the national average salary for a Voice User Interface Designer is $86,883. However, it can be tricky to pin down an accurate figure as most VUI designers will first learn UX and then complement it with VUI skills. This gives you a very broad range of possibilities across different companies, from high-profile brands to small startups and agencies. To gain a better understanding of just how much designers with VUI skills can earn, we asked our industry experts to share what they know. In Europe I see the salaries for VUI ranging from EUR 50k, all the way up to EUR 80K. It really depends on both the region and the designer’s knowledge. I would guess the salaries will be similar to other design fields. Seniors can earn $100k in the US. It really depends on the country and market. What is universal, though, is the fact that great VUI designers can bring tremendous value to the products and services being created. Hiring voice designers is an investment for the future and a bet on the development of digital world. Salary ranges for VUI Designers range from 65k for a junior level up to 135k for an advanced senior designer. 6. Getting started in VUI design: What next?